Velan Studios, the new developer from Vicarious Visions founders Guha and Karthik Bala, has signed its first publishing deal with EA Partners. EA will publish the studio's first game, which will be an original, team-based action title for PC, consoles and mobile. EA Partners is the division of EA that that works with major independent studios, and in the past it has teamed up with the likes of Apex Legends creators Respawn Entertainment and Rock Band developer Harmonix. 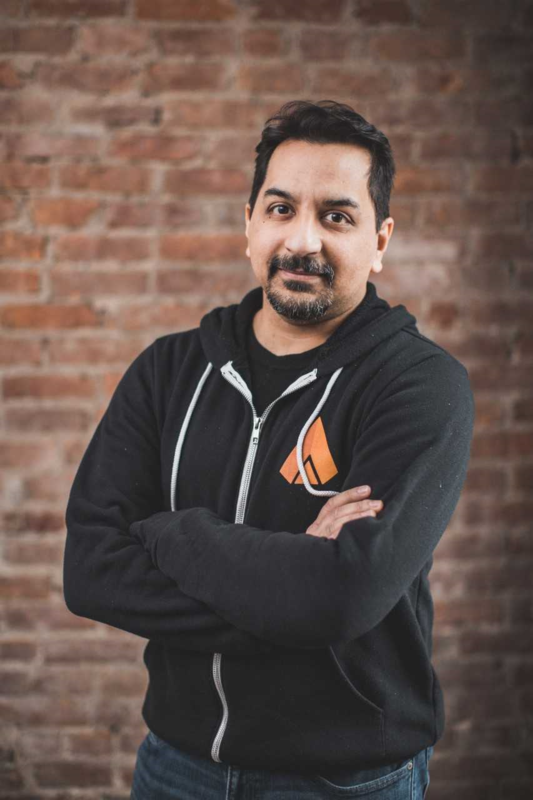 Velan Studios was formed in 2016 by the Balas, and initially raised $7 million to allow the firm to prototype new concepts. "After 28 years of making games, I realised I was doing it wrong," CEO and co-founder Karthik Bala tells GamesIndustry.biz. "Typically, a game starts in pre-production, where there's a pitch, there's an idea that could be really fun, let's go try and make this game. It could be a [Microsoft] PowerPoint pitch, or an animatic, or a video. And then you have designers, artists and engineers who go off and running through pre-production. "I'm back to being a kid again. I'm 15 making my first game. I feel like I am learning all new things"
"What I realised was that we were missing a phase prior to pre-production. A true discovery phrase to find the magic, to find the fun; a phase to really prove or disprove concepts. It needs to be a very failure embracing process, where you're iterating and seeing what works and being very divergent and lateral thinking in terms of approach. And the more out there you are with the ideas, then the more flexibility that you need in terms of true discovery research and development. 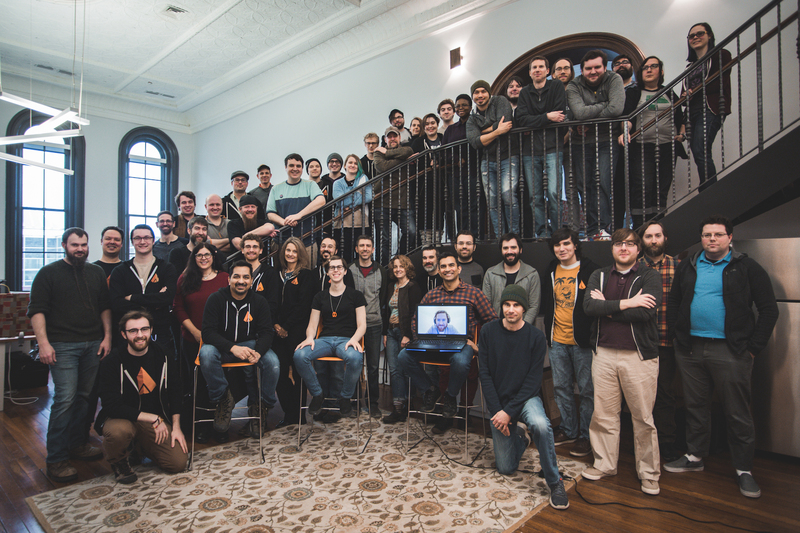 "Once you find that magic, the team then has amazing clarity on what it is that we're trying to build. You throw it away and you start over, knowing what you want to make. This way you hit a really important validation step in the core experience, because you've found something truly special and you can start building a plan around it." Velan Studios believes it has found that magic. The firm is currently home to 50 employees, and it is now actively looking for 40 more to join its ranks. Many of the current team are veterans of the games business, having worked on franchises such as Skylanders, Guitar Hero, Super Mario Maker, Destiny, Uncharted and Metroid Prime. "As much as there is all this change in the industry, there are also some constants," says Bala. "Being distinctive and original, to surprise and delight players, that is as important now as it was in our Vicarious Visions days. The same old, same old gets old really fast, and the quality matters. "What is really heartening to me is that as more and more people play games, there are tonnes of opportunities for this new kind of indie. The indies with veterans who are re-energised to go and do something different and find resonance among the player community. That's because of broader access, and ease of access, and it is only going to get better. "There are more opportunities now for developers than before. It is really fun. I'm back to being a kid again. I'm 15 making my first game. I feel like I am learning all new things.., We have a partner in EA that is incredibly supportive in us taking these creative risks. " Bala says that the studio just "hit it off" with EA, and after more than 15 years working with Activision, he is certainly familiar with major AAA publishers. However, there are no plans to turn Velan Studios into a large AAA developer. "We're building new technology and continuing to prototype new ideas in the process. We have multiple irons in the fire, if you will," he says. "But inherently, compared to AAA and what we are used to, it's still relatively small. "And that's also part of the goal, because it allows individuals on the team to have a creative voice. Sometimes when teams or studios grow to enormous size, individuals may lose their creative voice... Our philosophy is that if you want to build really unique and differentiated experiences, that can be done with smaller teams these days and still be high quality experiences that find a community of players." "Sometimes when teams or studios grow to enormous size, individuals may lose their creative voice"
He continues: "I was hearing for a while that the middle has fallen out; that there was only these really small games that are made on a shoestring budget, or really big games. Maybe for a period of time that is what was trending, so perhaps you could call this a new middle, or a new generation of indies. But we started to see these studios where they've got veteran talent that has done some really great things, and the technology and tools are so good that we can really explore new ideas and new expressions, and make them distinctive, and find success with that. These opportunities will only continue, Bala believes, particularly as even more avenues to the consumer open up, including the recent buzz around game streaming and subscription services. "The definition of platform is getting redefined," he says. "It's not a console, it's not just a box anymore. The box is part of it, but it's not what makes a platform. The idea of digital-only, service-based, any screen... that changes the nature of the term platform. And there's also broadening access. Mobile certainly opened up the number of players in the world, but streaming, subscriptions and different business models is opening up that access to different players. "On the business model front, we thought for a while it was shaping up to be mobile free-to-play and premium console, and nothing in between. But that's proving not to be the case. We're starting to see AAA free-to-play, which are games like Apex Legends and Fortnite. And then you have subscriptions." He concludes: "When financial success isn't just on an individual product [profit and loss], that is going to lead to profound change. You only have to look at Netflix and see what's happening in linear media. It's about engagement and bringing in a broader set of consumers and appealing to lots of different tastes. It's not just AAA shooters. There's a broader content desire from consumers. "When you combine all that together, alongside new technologies that open up new kinds of experiences, I think that there is a rebirth of creativity out there."